There is no information on the Penny Pays website indicating who owns or runs the business. The Penny Pays website domain (“pennypays.com”) was registered on the 26th of July, 2016. Michael Dodd of MD Operations Corporation is listed as the owner, with a residential address in the US state of Tennessee also provided. Michael Dodd (right) first appeared on BehindMLM as the owner of Penny Matrix back in 2012. Penny Matrix was a $7 a month pyramid scheme attached to an ebook library. In 2015 Dodd resurfaced with GoBig7, another $7 a month pyramid scheme that switched out ebooks for advertising. Alexa statistics show a steady decline in traffic to the GoBig7 website from late 2015. This has likely prompted the launch of Penny Pays. Read on for a full review of the Penny Pays MLM opportunity. Penny Pays has no retailable products or services, with affiliates only able to market Penny Pays affiliate membership itself. Free and paid Penny Pays affiliates are able to purchase “shares”. Penny Pays shares allow a buyer to spam advertising on social media. Penny Pays affiliates are paid to spam social media and recruit new $9.95 a month fee-paying affiliates. Penny Pays affiliates are paid to spam social media. Spam posted on social media accounts must be left up for at least 48 hours, otherwise no commission is paid out. Recruitment commissions in Penny Pays are paid out via a 2×14 matrix. These initial two positions form the first level of the matrix, with the second level generated by splitting each of the two positions into another two positions each (4 positions). The third level of the matrix is generated by splitting each of the level 2 positions into another two positions each again (8 positions). Subsequent levels of the matrix are generated in the same manner as required, with a full 2×14 matrix housing 32,766 positions. Positions in the matrix are filled via direct and indirect recruitment of Penny Pays affiliates. A 100% matching bonus on matrix earnings of personally recruited affiliates is also available. Penny Pays affiliate membership is free and paid. Only affiliates who pay $9.95 a month can participate in the attached MLM opportunity. Penny Pays is basically the same compensation plan Michael Dodd used in Penny Matrix and GoBig7, re-imagined with social media spam. The social media spam concept on its own makes little sense. Imagine, if you will, someone you know starts blasting random advertising (with affiliate referral links) daily from their Facebook account. How long before you hit block? Social media can work as a targeted advertising platform, but willy-nilly untargeted spam isn’t going to get you anywhere. All you’ll wind up doing is annoy anyone connected to you. Yet this is what Penny Pays are selling. And what about Facebook bots? It’s not that hard to set up Facebook accounts, so how diligent is Michael Dodd going to be in ferreting out fake accounts gaming the system? At the end of the day it doesn’t really matter, because the MLM side of Penny Pays is chain-recruitment. Affiliates sign up and pay a fee, with commissions paid when they recruit others who do the same. 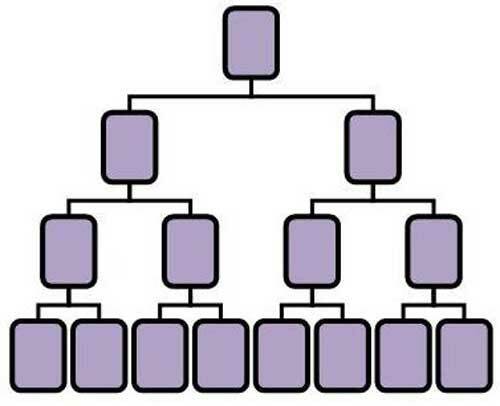 In MLM, this is known as a pyramid scheme. As with all pyramid schemes, and indeed Penny Matrix and GoBig7 before it, once recruitment of new paid affiliates dies down Penny Pays will collapse. Being a subscription-based compensation plan, this means those at the bottom of the company-wide matrix will be the first to stop paying their monthly fee. This sees affiliates above them stop getting paid, so they too stop paying. This effect slowly trickles up the company-wide matrix until eventually an irreversible collapse is triggered. At that point anyone who hasn’t recovered their monthly fees via recruitment loses out, with this mathematically guaranteed to be the majority of affiliates. Penny Matrix ran for a few years but GoBig7 didn’t last nearly as long. Penny Pays will likely collapse even quicker. This is a opportunity that most dont understand. I know my sponsor well and he is wonderful person. Plus I have a website that I run opportunities through and this will work. I wish everyone would just relax and have some fun with this stuff. Look… I happen to live life and alone and enjhoy what I do.. The online stuff is great even though I dont understand much about technology and stuff…. I still do my thing online and LOVE it…. So to all the oldies out there… forget about it.. This is a opportunity that most dont understand. What’s there to not understand? You pay $9.95 a month and get paid to recruit others who do the same. That’s a pyramid scheme. @Linda, what makes you say “this opportunity will work”? Have you joined other opportunities that have not worked? Do you even realize that you are involved in a pyramid scheme?